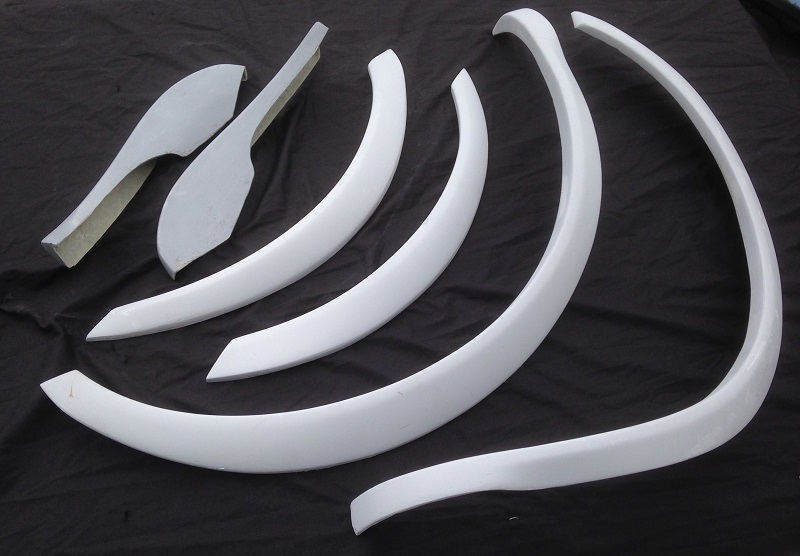 Full wheel arch set (6 items) for Lotus Esprit. Made from fibreglass. 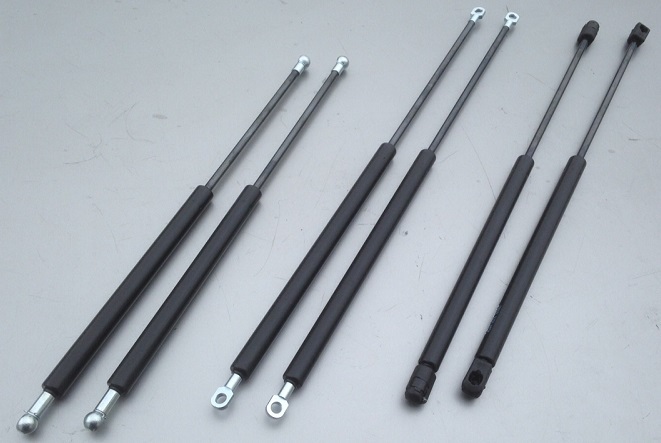 Can supply individual parts if necessary. 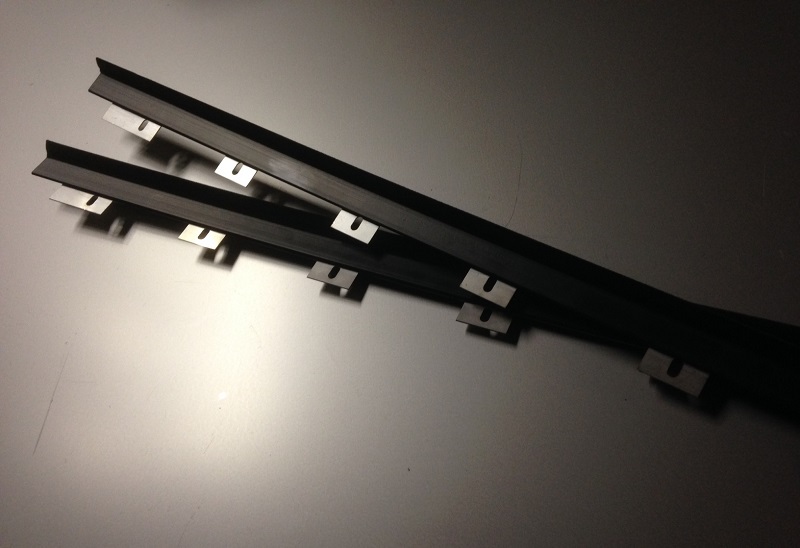 Designed and manufactured by PNM, these weather seals have a stainless steel fixing plate. A long lasting replacement for the now obsolete original item and less than half the original price.